The Royal Society Young People’s Book Prize is the UK’s only award solely for books about science for children and young people. One of the book’s on this year’s shortlist is Science Experiments by Robert Winston and Ian Graham. Essentially a book of recipes for experiments which kids and families can do at home, this book makes for a tantalising read. Divided into 5 sections covering “The Material World”, “Forces and Motion”, Energy in Action”, Electricity and Magnetism” and “The Natural World” there are 85 experiments, ranging from the very simple, requiring only things to hand in any kitchen (for example exploring changes of state, and how to avoid clouds in ice), to those which are more complicated, need time to prepare or specialist resources (like making your own metal detector, or creating bubbles with dry ice). With nearly every page turn my 7 year old was pulling on my sleeve; “Can we do this? Can we do this one? Please, Mummy, pleeaaase?”. You can’t ask for a better response than that, if your aim is to get kids excited about science. But just as you can’t review a cookery book without putting some recipes to the test, the most important way to find out what an experiments’ books is really like is to try out some of the activities. We’ve done a good dozen of them by the time of writing this review and all the instructions have been very clear and easy to follow, with excellent results in all cases. The text is easy enough for my 7 year old to read herself, and the illustrations (a mixture of drawings and photographs) are clear and helpful, as well as inspiring. However, quite a number of the experiments need either a fair amount of time in preparation (mostly in saving up junk that might otherwise have been thrown out) or for you to purchase materials which may not be cheap (e.g. powdered alum or phenolphthalein). It would be great if this book came with a list of suggested equipment and suppliers at the back (or linked online) so you could start stocking up and looking around for everything before handing over this book to your kids; it’s very demotivating if they read an experiment which they want to try but then can’t follow up their enthusiasm because the resources aren’t available. I was also frustrated by the index. Having leafed through the entire book to get an idea of what we wanted to try, we couldn’t easily find the experiments on our mental check list using the index (for example, one activity involved eggs but the only experiment indexed under eggs was a different one entirely). Despite these concerns, Science Experiments is a good book. It’s designed with elegance and clarity and simply looks much more appealing than other experiments-to-do-at-home type books we’ve read in the past. We’ve learned lots together as a family as well as having fun, directly as a result of reading this book. My eldest has been very keen to both read the book and try out everything described inside its covers. But… I can’t call this a great book. Whilst Science Experiments by Robert Winston and Ian Graham probably does deserve to be on the shortlist for the Royal Society Young People’s Book Prize, I don’t think it will ultimately be the winner. NB. In the US this book is sold under a different title and with a different cover: in the US: Science Rocks! My copy came from my bookshelves. Claire Eamer at Sci/Why joins this week’s STEM Friday with a post about the 50th anniversary of the publication of Rachel Carson’s Silent Spring. Categories: STEM Friday round-up | Tags: experiments, Science, STEM Friday | Permalink. 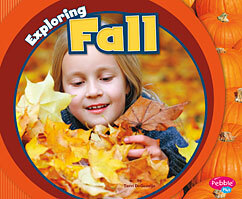 Looking for Science, Technology, Engineering and Math books for children with an autumn theme? You have come to the right place! Note: The links to the book title will take you to full reviews at the blog indicated. Shirley at Simply Science starts us out with a review of the recently released picture book Exploring Fall by Terri DeGezelle, part of the controlled vocabulary Exploring the Seasons Series. As usual, Shirley has some great suggestions for activities. 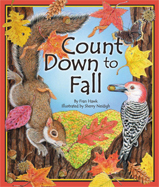 Shirley also suggests another book for younger readers, Count Down to Fall by Fran Hawk and illustrated by Sherry Neidigh. told in rhyme. 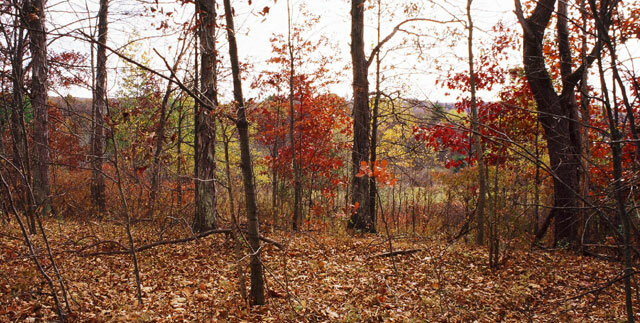 My contribution is Awesome Autumn by Bruce Goldstone. Autumn isn’t just about fall foliage, it is also about getting ready for winter. 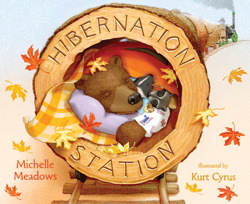 Jeff at NC Teacher Stuff has Hibernation Station written by Michelle Meadows and illustrated by Kurt Cyrus. 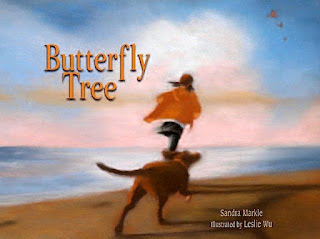 Sue at Archimedes Notebook reminds us about fall migrations with Butterfly Tree by Sandra Markle and illustrated by Leslie Wu. Sue also has a wonderful list of science/nature things to do in fall in her right sidebar. Pam at Nomad Press is joining this week with Explore Weather and Climate! 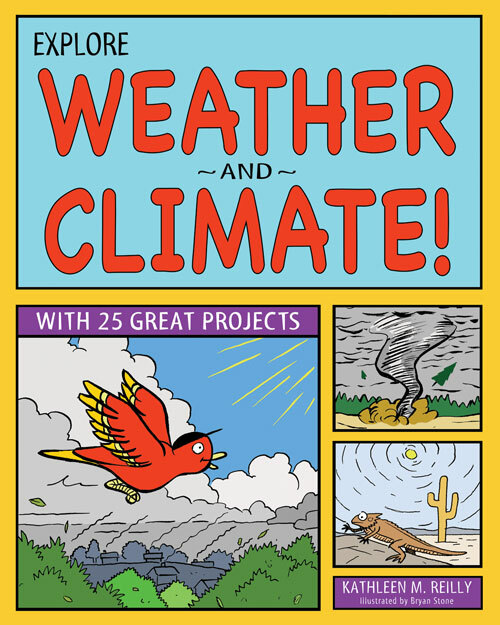 With 25 Great Projects by Kathleen M. Reilly and illustrated by Bryan Stone, for budding meteorologists and climatologists ages 6-9. 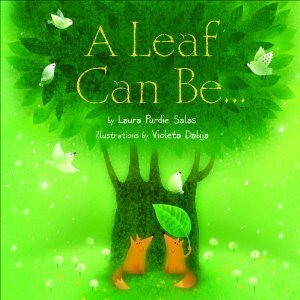 Anastasia has a lovely picture book A Leaf Can Be… by one of her former students, Laura Purdie Salas and illustrated by Violeta Dabija at Booktalking. Lindsey Carmichael from Sci/Why in Canada has an off-topic post about evolution in digital organisms. Her colleague has a post about getting ready for winter in the far North, Harvest Time in the Forest. Thank you to everyone who has participated. Categories: STEM Friday round-up | Tags: Autumn Science books for Kids, autumn theme, math books, Science, STEM books, STEM books autumn theme, STEM books for kids | Permalink. As regularly as the swallows depart from and return to San Juan Capistrano, teachers will soon begin flocking to their classrooms and the library. Sooner or later, they will seek the books on seasons. I will be ready. DeGezelle, Terri. 2012. Exploring Fall. North Mankato, MN: Capstone. Crisp and attractive photographs, single-page “chapters,” minimal text in simple font, a pleasing buttery yellow color, and a generous 11″ x 9″ size, are the hallmarks of this new Exploring the Seasons series. Each title also contains a Glossary, Read More, Internet Sites, and Index. Because Capstone Press’ target audience is beginning, struggling and reluctant readers, these books have a target age range of 5-7, but will be equally useful as preschool read-alouds to accompany storybooks on the same topic. Jeff at NC Teacher Stuff also had the seasons in mind, featuring a book review that combines poetry and the seasons, The Year Comes Round, by Sid Farrar. Sue, over at Archimedes Notebook, is digging into compost and checking out worms. At Booktalking, Anastasia is reading City Critters: Wildlife in the Urban Jungle. Simply Science reviews Animals: A Visual Encyclopedia from DK. At Bookish Ways in Math and Science, Tricia reviews Secrets of the Garden: Food Chains and the Food Web in our Backyard.